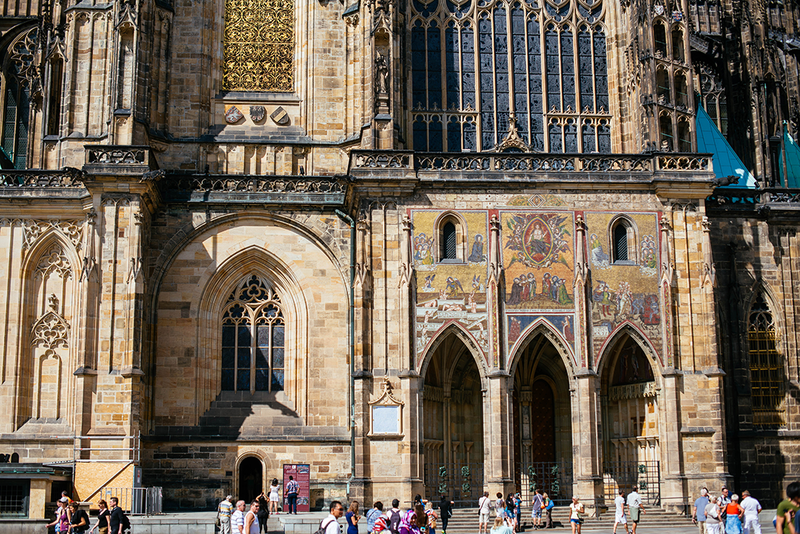 One thing you can do (that’s also a must) if you don’t have a ton of time in Prague, is to watch the Walk of the Apostles at the Astronomical Clock in Old Town Square. This happens every hour on the hour, so you can fit it in any time of day! 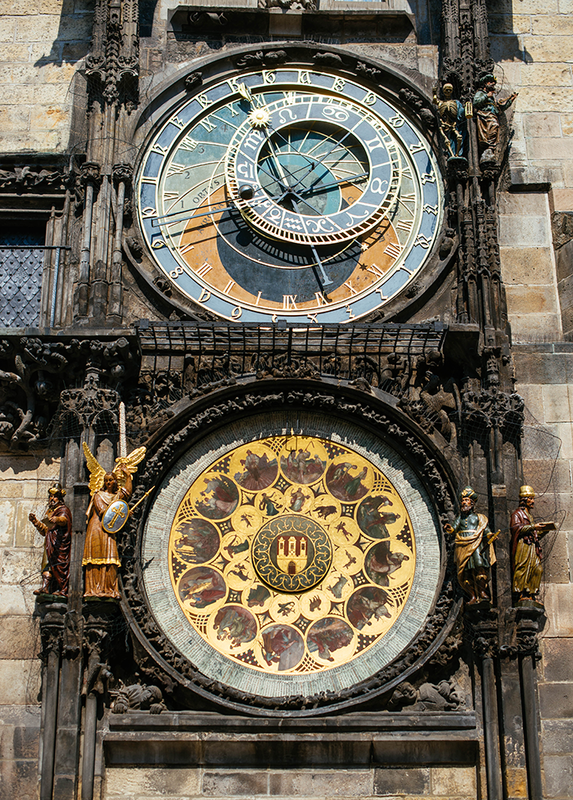 The Prague Astronomical Clock was first installed in the 1400’s and is the oldest astronomical clock that still works, so it’s definitely worth your time (pun intended). 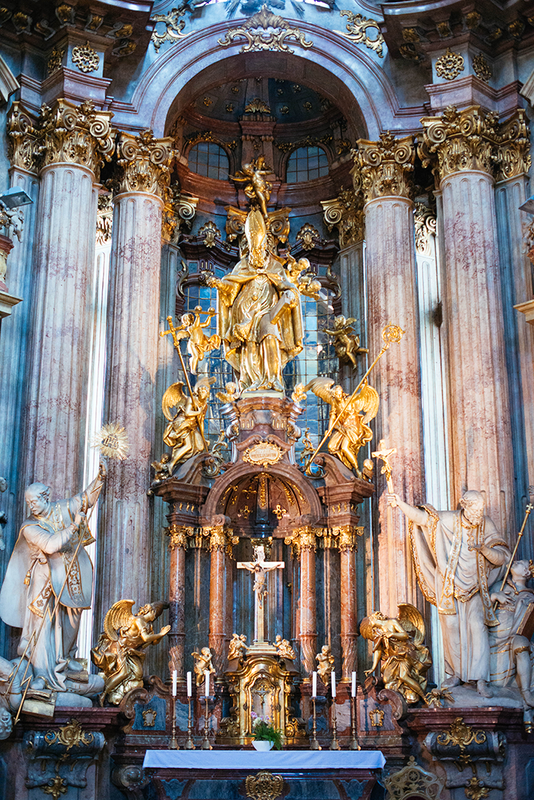 If you love a good Baroque scene, head over to St. Nicholas Church. 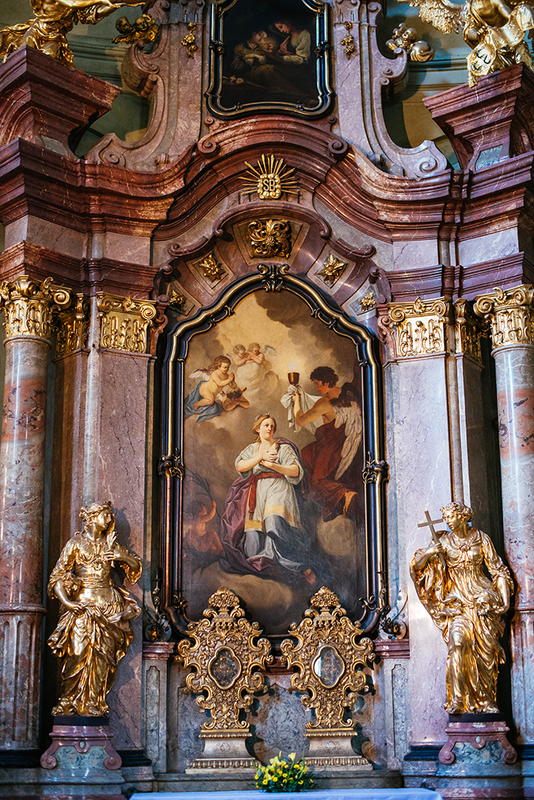 This ended up being one of my favorite things we did in Prague – the interior is beyond gorgeous and filled with the most lavish decor and painted ceilings. Take your camera for this! 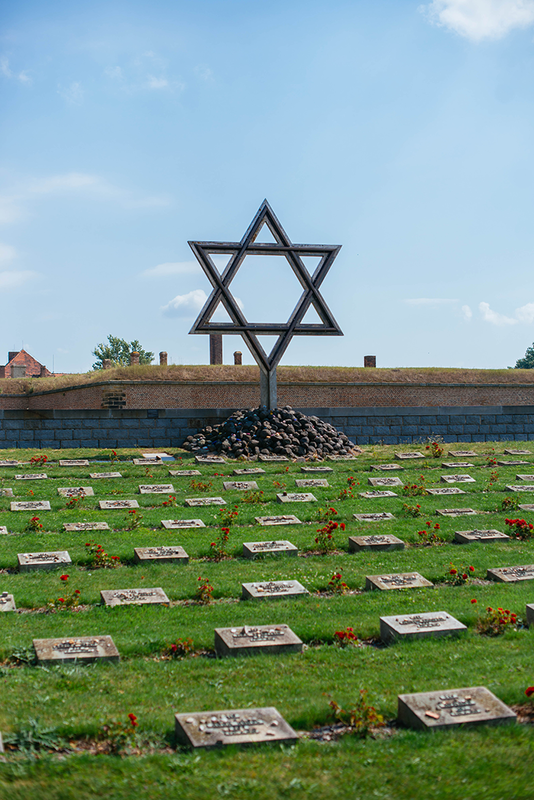 Since Katherine is a history buff like myself, we decided to take the half-day tour of Terezin, one of the Third Reich’s many concentration camps and ghettos. Now that I’ve been to both Terezin and Auschwitz-Birkenau (in Poland – more on that next week), I feel I have a much better understanding in the difference between the two. Terezin was more of a layover on the way to Auschwitz, with nearly 145,000 Jews being sent to Terezin and forced to live in unbearable conditions in the Ghetto before getting shipped off to The Final Solution. 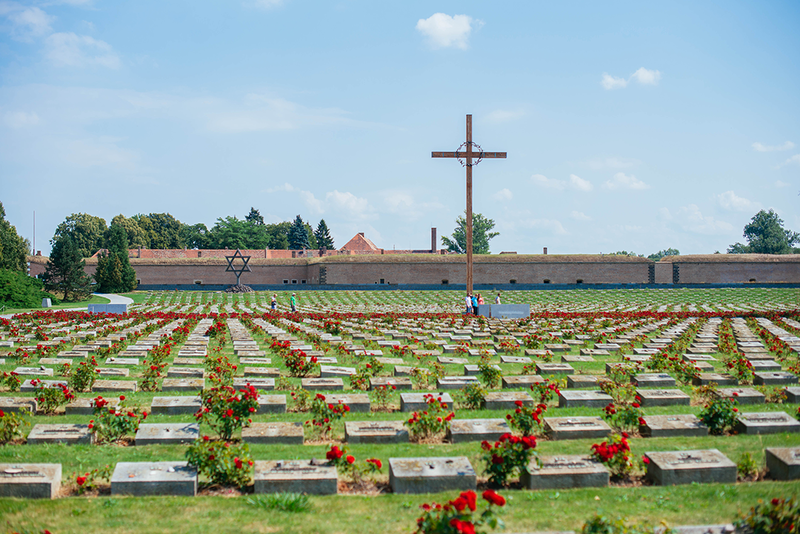 In addition to the WWII history of Terezin, it was also interesting to learn why it was selected by Nazi Germany for use – Terezin is first and foremost a fortress. The construction of the fortress was ordered by emperor Joseph II nearly two hundred years prior! 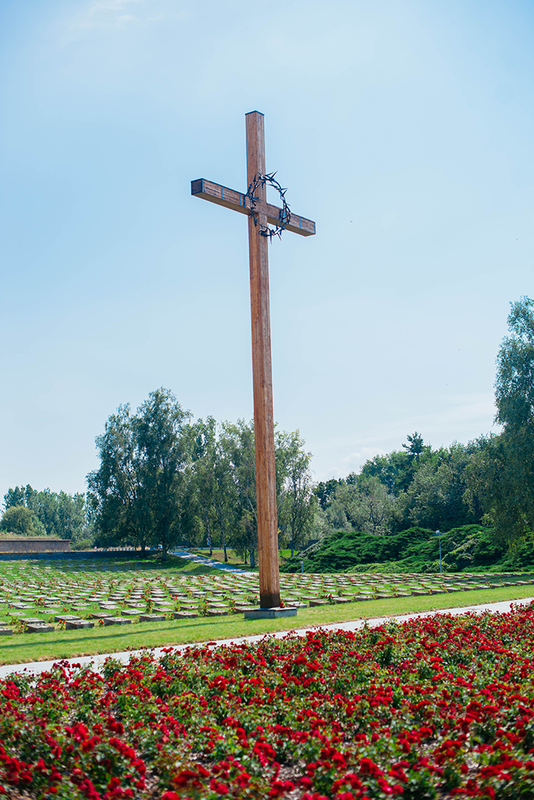 If WWII history interests you in the slightest, this is a great day trip (albeit a heavy one) outside of Prague. Especially if you don’t expect to be making a trip to Poland in the near future! Walking along Charles Bridge is also fun if you’re hoping to check out local artists and sometimes street performers, otherwise it’s pretty crowded with tourists. Just keep that in mind! 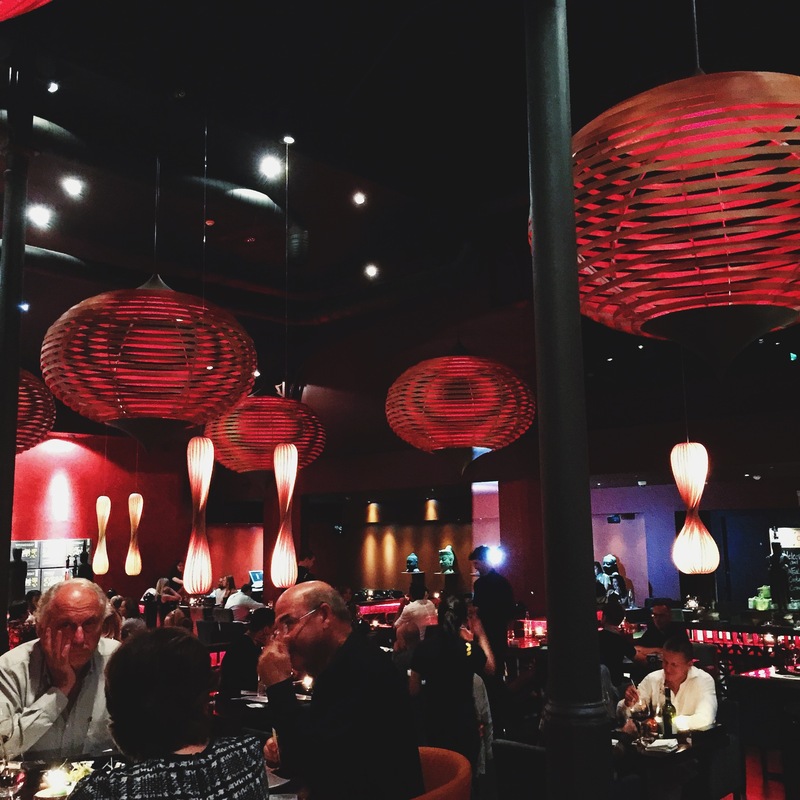 For a unique and lively dining experience, make a reservation for dinner at Sasazu. It’s a little off the beaten path – you’ll need to take a cab and don’t be distraught when they drop you off at a warehouse! On the outside it looks a bit sketchy, but the second you walk in the door you step into a luxe restaurant filled with Asian-style design and cuisine. The menu is inventive and very flavorful – everything we ordered was divine! The most memorable item we ordered was the coconut tiramisu for dessert. If you go, you’ve gotta get it – trust me!!! Another great spot for dinner is Terasa U Prince – not so much for the food as it is for the view. 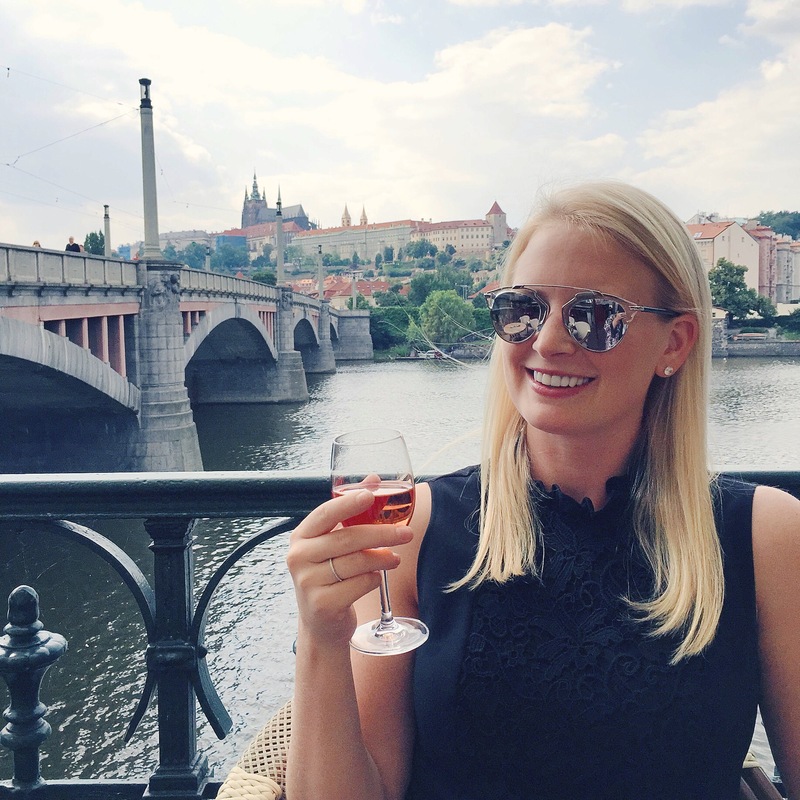 This eatery is situated atop the Hotel U Prince right off of Old Town Square, and has amazing views of Prague – perfect for a sunset dinner! I got some great photos up here. 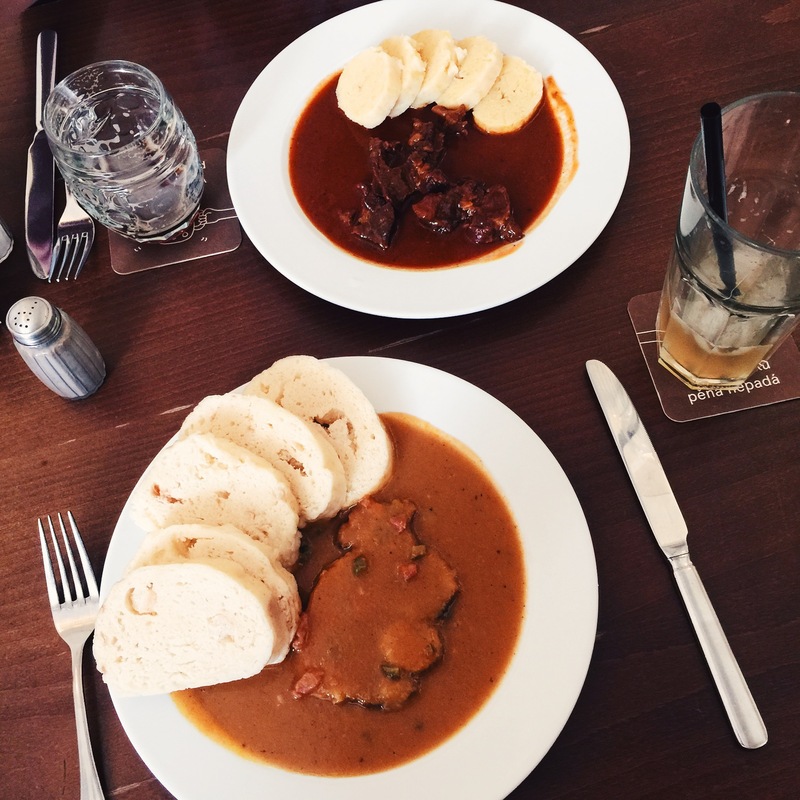 For lunch, head to Lokal or Cafe U Tyna for good local grub like Goulash and potato dumplings. Lokal brews it’s own beer, but U Tyna is situated right on the Old Town Square – both were delicious! Another adorable cafe for lunch or an afternoon snack is Kafka Snob Food (funny name, right?). Katherine and I just happened upon this place after walking across Charles Bridge – we were both so thirsty and tired and just needed a moment, and Kafka offered the perfect atmosphere for that. We were there around 3pm, so we opted for a slice of cake instead of lunch, but I hear lunch is great too! Sipping on rose at Cafe Manes. One of the sunset views from Terasa U Prince. 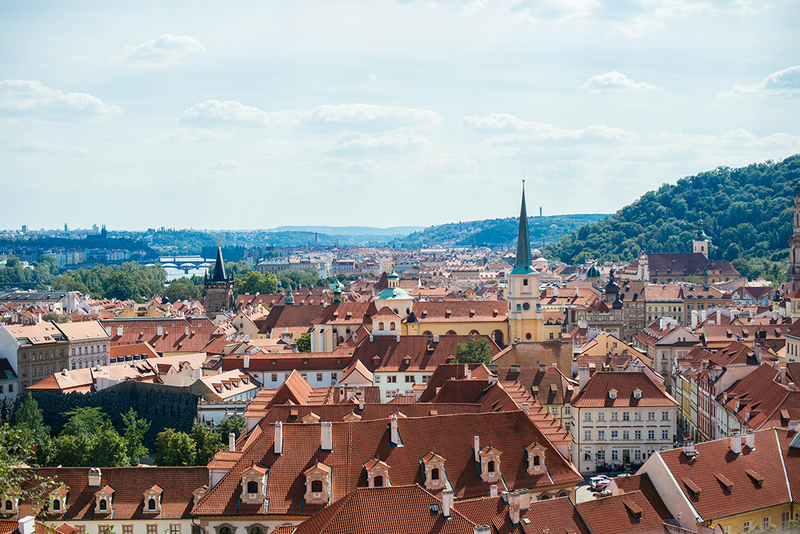 A view of Prague Castle from Terasa U Prince. On the last leg of our trip we used hotel points so we could stay somewhere for free! We decided on the Hilton Old Town – it was a great location! 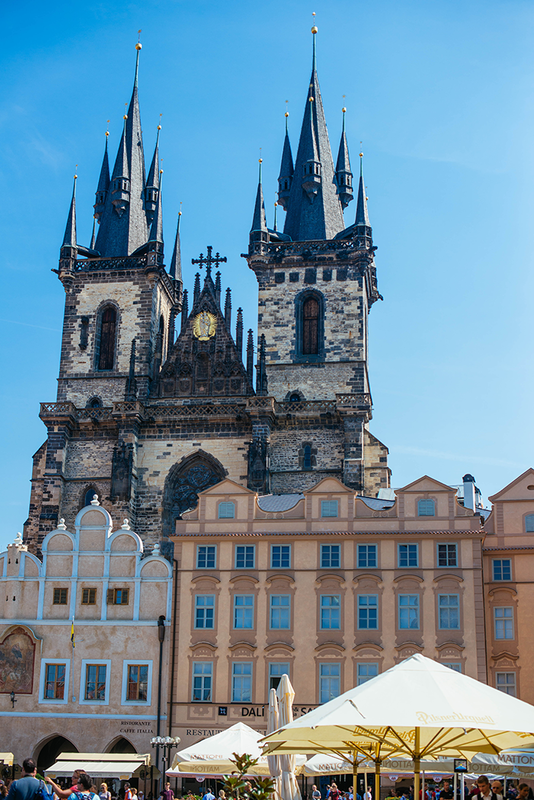 Just a short walk from Old Town square, Powder Tower, and lots of awesome shopping. Since I didn’t do any research on Prague hotels (since Katherine did the hotel points booking – thanks girl! 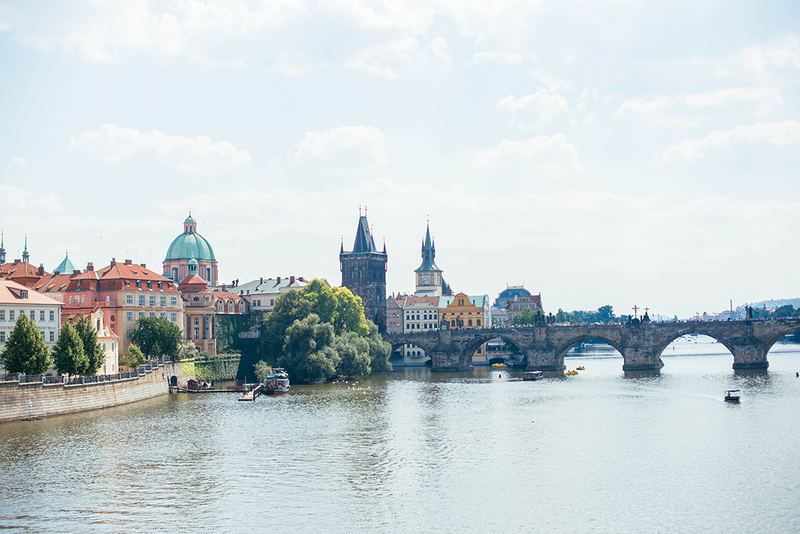 ), I unfortunately don’t have a whole lot of other recommendations… BUT here’s a little roundup of hotels I’ve heard are also great from others who have been to Prague: Four Seasons Old Town is right on the river with incredible views of Prague Castle, Hotel Yasmin has more of a boutique-hotel feel with chic design at pretty inexpensive rates, and if you’re hoping to be closer to Prague Castle, check out Aria and The Augustine Hotel. Stay tuned for my guide to Krakow next week! Thanks for continuing to follow along on my adventures abroad! fabulous! always wanted to go! 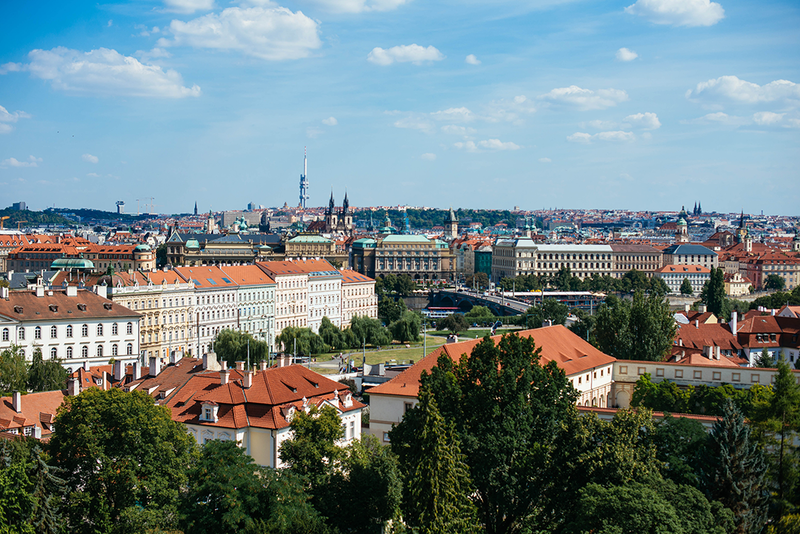 Gorgeous pics, I’ve heard nothing but amazing things about Prague! Glad you had a great time! 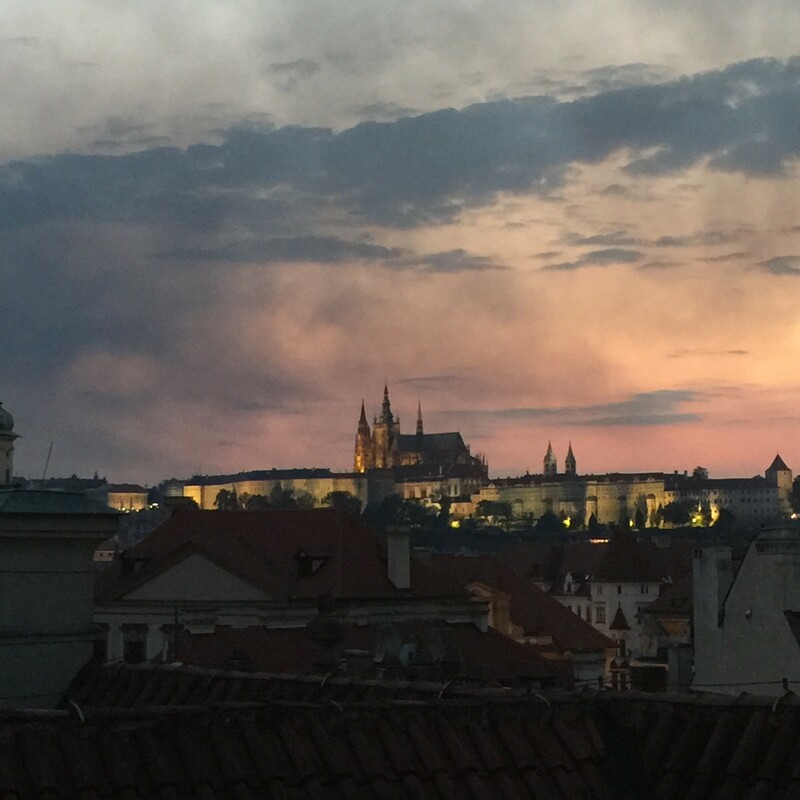 Beautiful photos, you’ve definitely sold me on Prague! I’ll have to visit some time! Wow your travel photos are incredible as usual. Makes me want to get away! Great photos, you can really get a sense of the city. 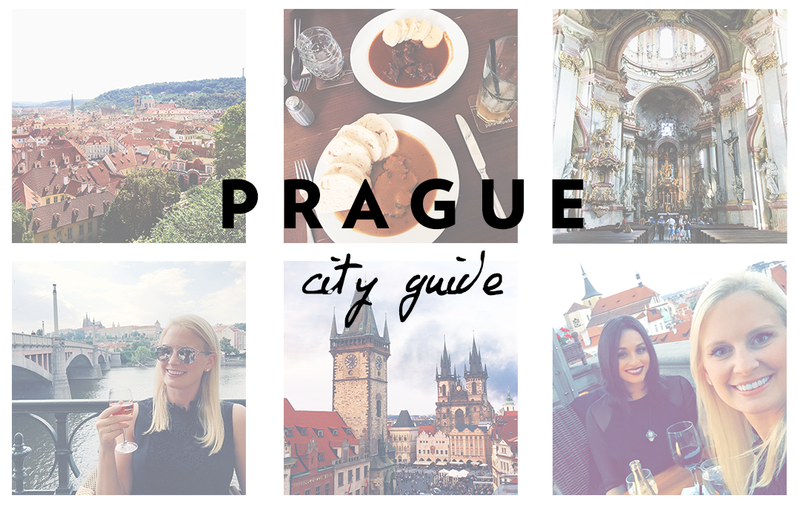 Prague is on my ‘must see soon’ list so I’ll bookmark this. Looks like a great trip! 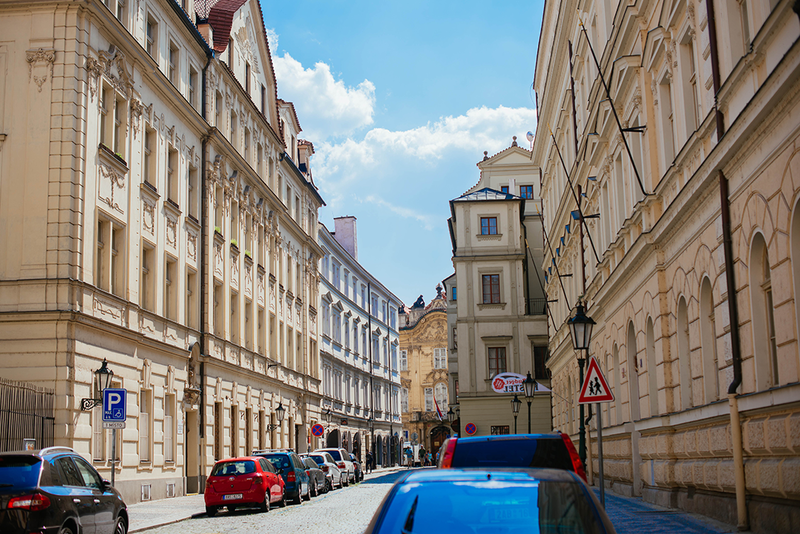 Prague is amazing – I have been there last year and its also my euro-favorite. Great guide. 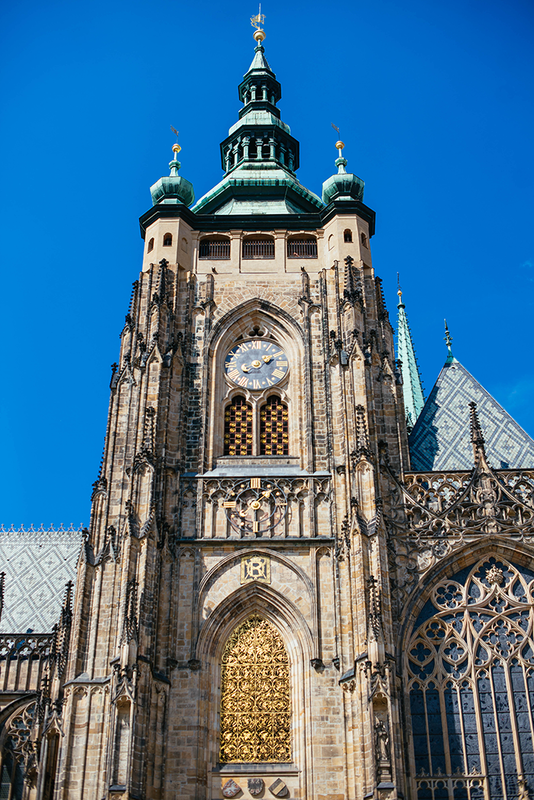 I would suggest to add Zizkov Tower and Vyšehrad castle to this must-see list. I’m loving all these travel posts! 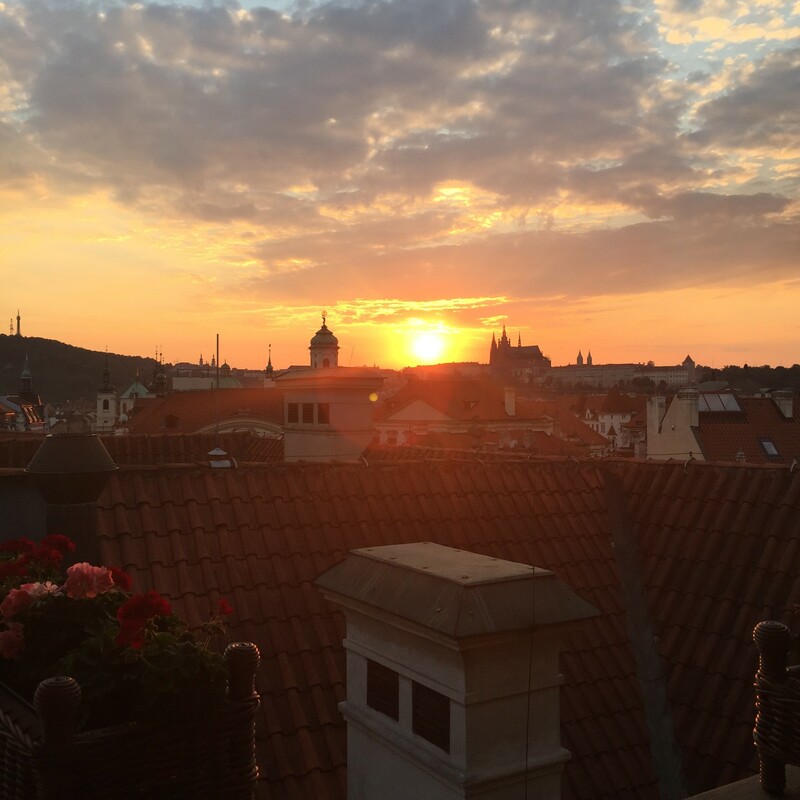 Your photos make me wanna go back to Prague immediately!